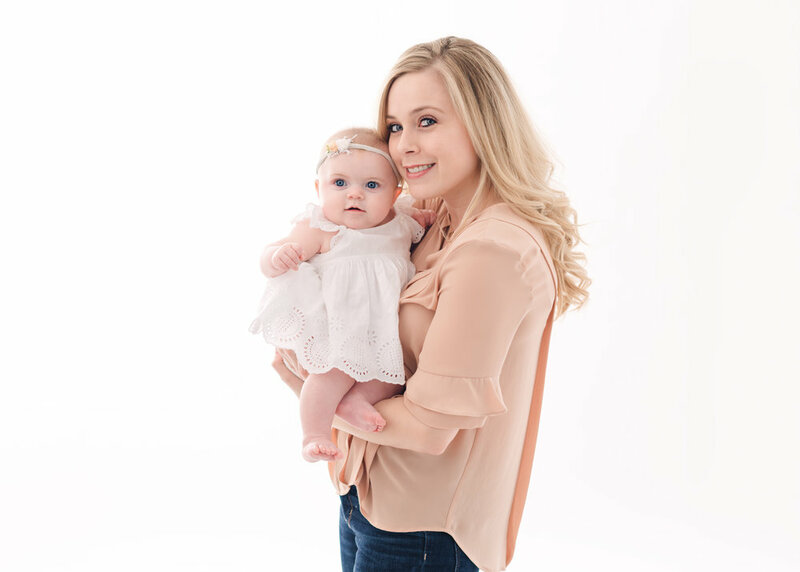 I just love seeing my newborn clients again, especially for the one year milestone! 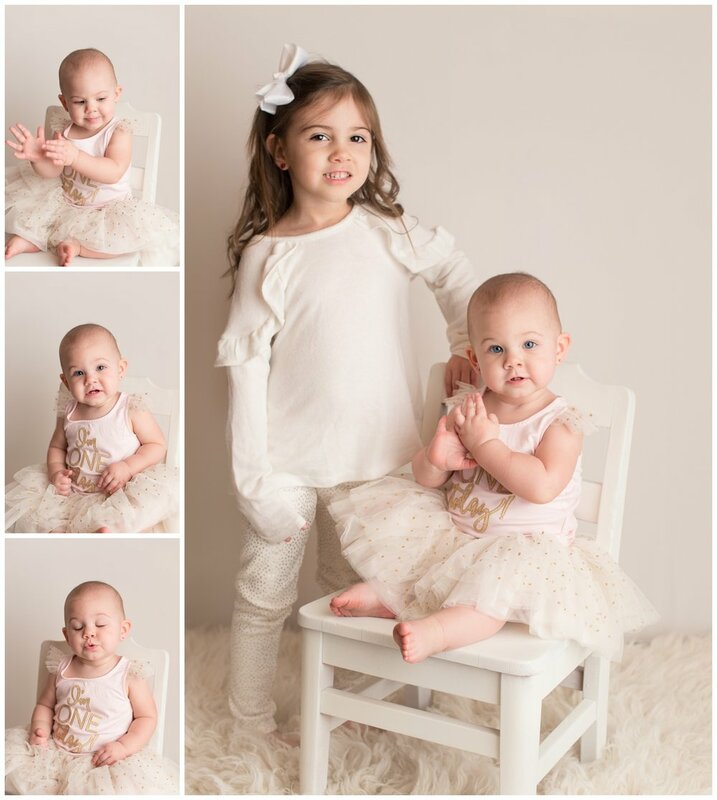 They grow so fast and it’s so fun seeing their little personalities in the studio!!! 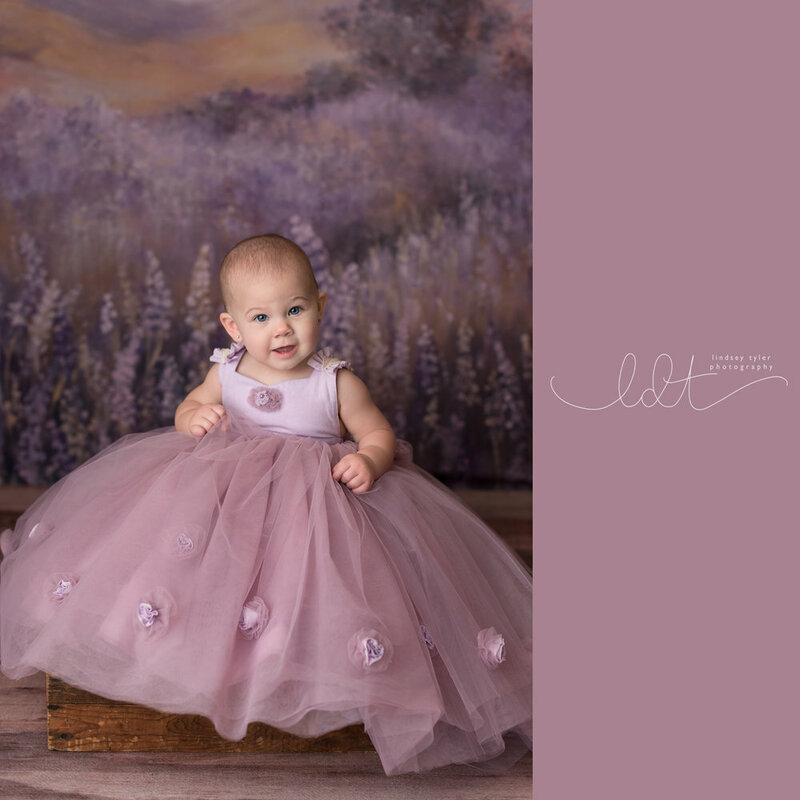 I also love incorporating the same colors and backdrops from the newborn session to match!! 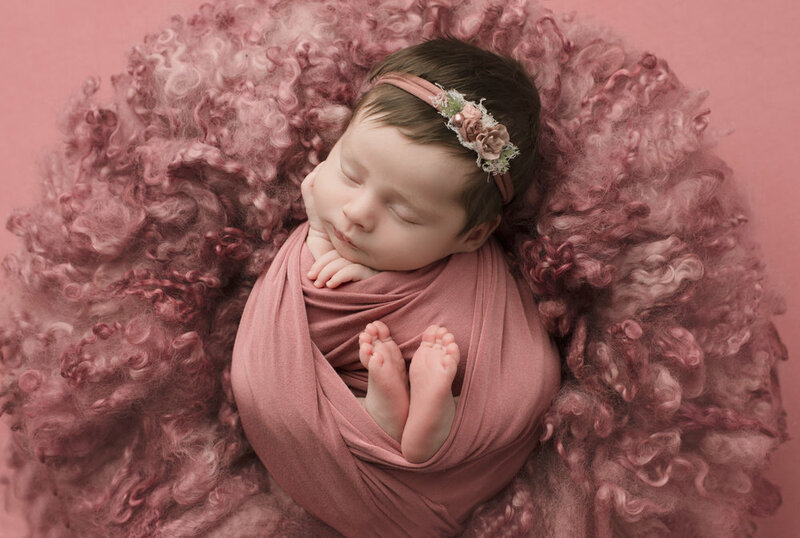 If you missed her newborn photos..check them out here! 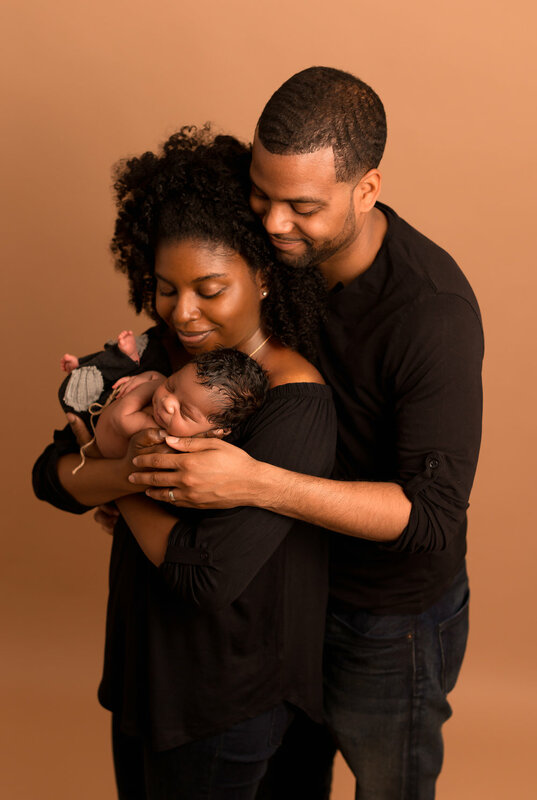 First Family Portraits are everything!! All snuggled up <3 Those cheeks!! 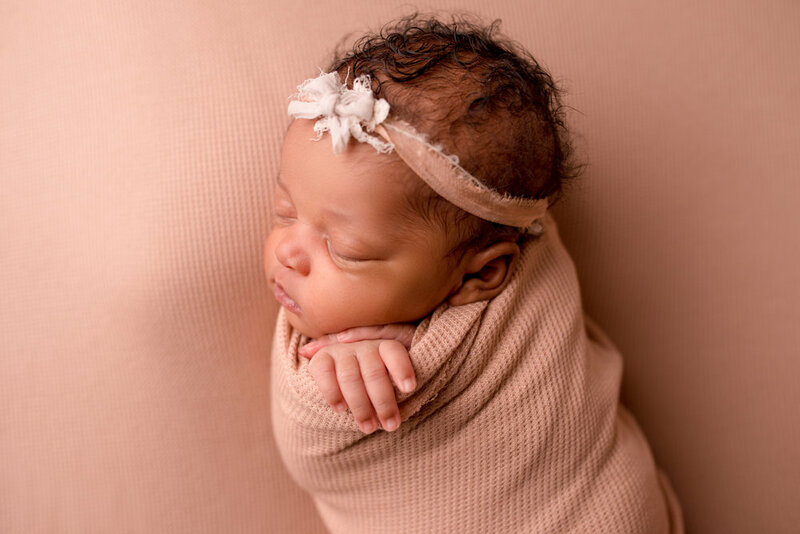 Your little princess deserves a special welcome into the world! 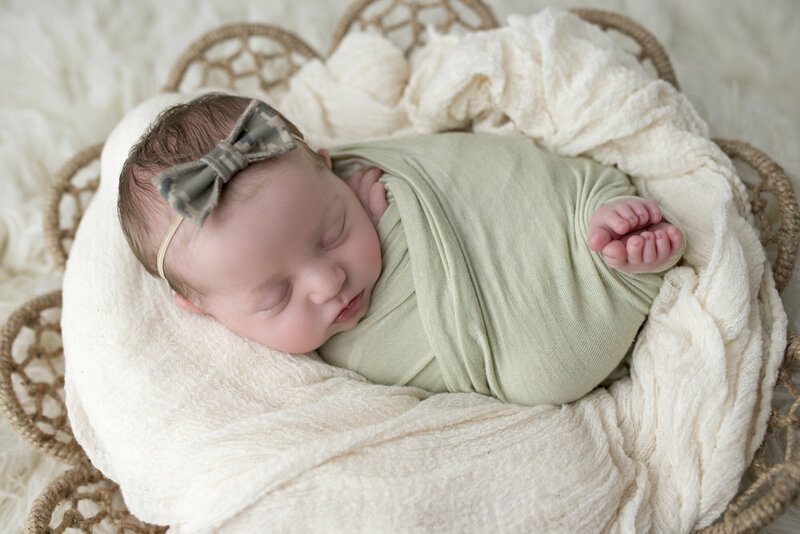 Let us swaddle her in style and create a session you’ll swoon for. HELLO Ms. Harper! I am so lucky to have the most adorable clients!! 3 Month Milestone sessions are so fun!! 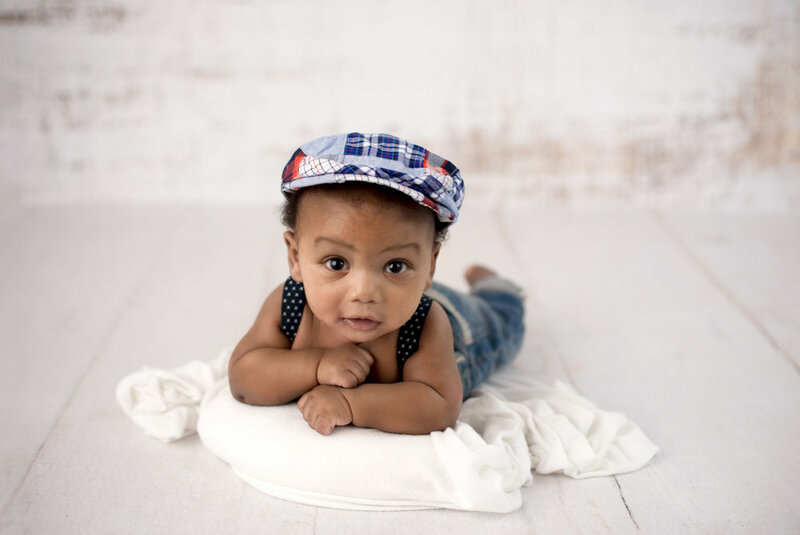 I just loved having this little guy in the studio for his 3 month milestone!!! He didn't know just what to think with the camera but he sure gave me some sweet expressions!! This age is filled with with so many new things!! He did so amazing with Tummy time too! This sage color is my absolutely favorite for both boys and girls. 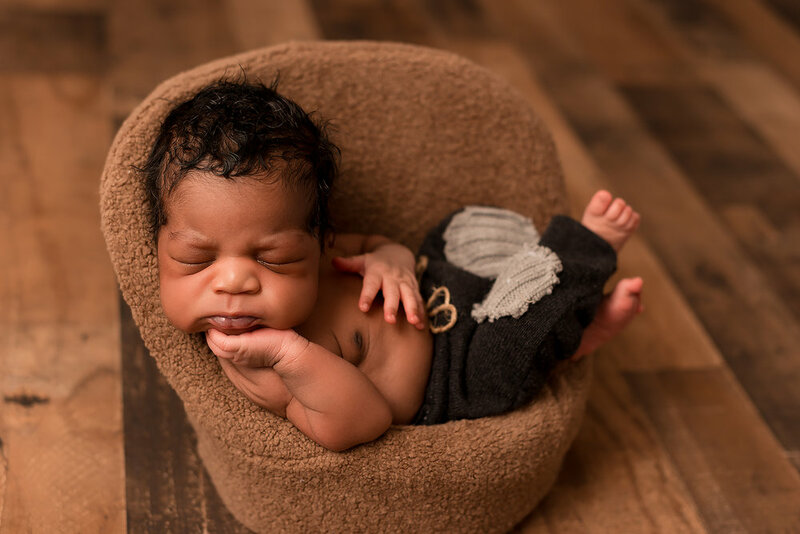 Looking for a Newborn Photographer in the Belleville or St. Louis area? I would love to chat!! Here are just a few of these sweet bub! When this little guy came in the studio, I was so excited....and that hair..so adorable!!!! The cutest cheeks + the sleepiest dude = an amazing session. 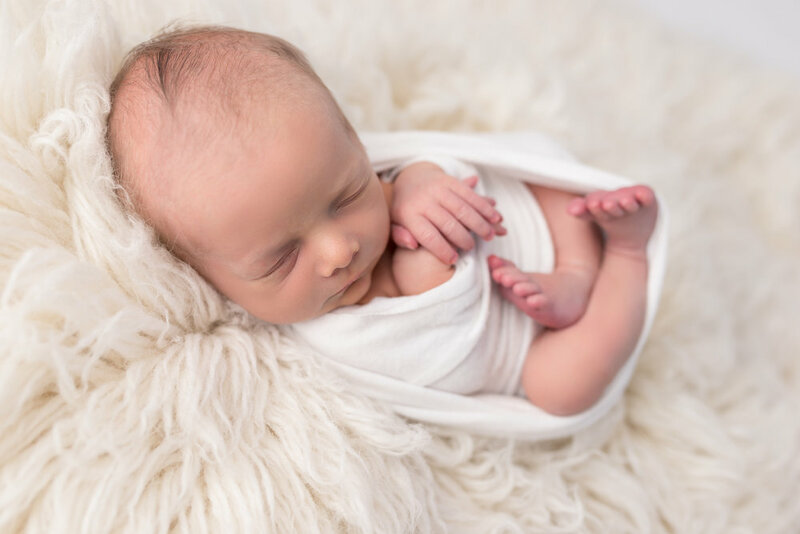 He totally rocked his session and I seriously could have snuggled him all day!! I am so thrilled to capture these moments for this sweet family!! EXPECTING?? BE SURE TO BOOK EARLY!! I just loved working with this sweet family! The thing I have noticed about second babies is how much more relaxed mom is. In my experience, it often makes a difference in our shoot! 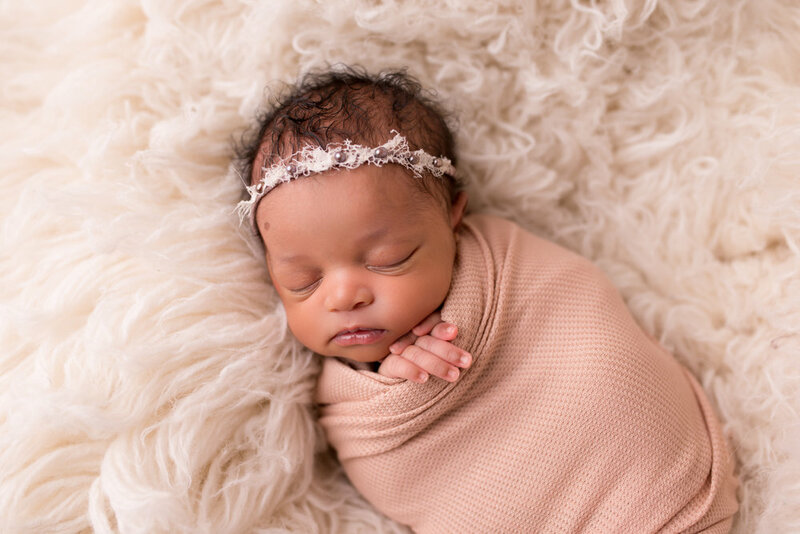 Ramzie, whose name has a special meaning to dad & mom, was the most perfect baby for her session. Never fussed and was just really calm! I think it absolutely has to do with 2 things. Mommy followed the prep guide I sent and baby feeds off our energy and patience. Now, luckily I was able to easily pose sweet Ramzie... but that's not always the case. If I have a fussier baby that's not a problem! 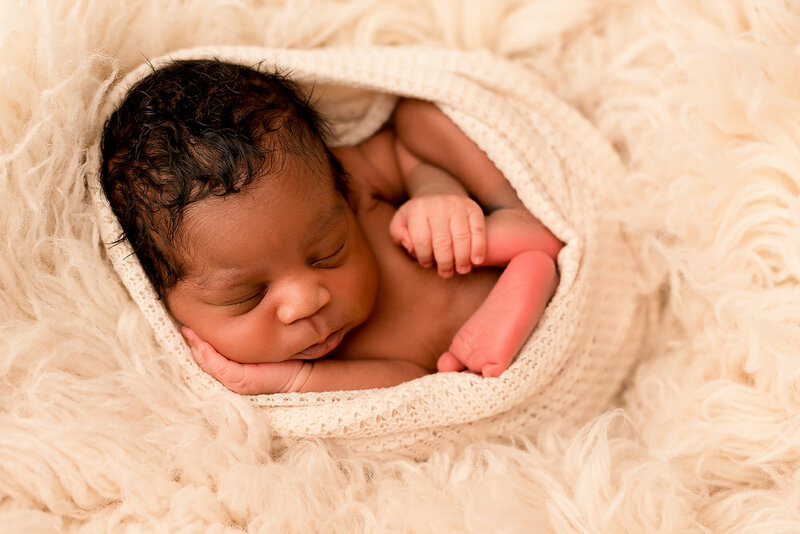 I am specially trained in newborns, so I really pay attention to how they react to the pose. If they don't like being on their stomach for instance, then I will move them into the next pose. I never force baby to be in a position that makes them uncomfortable. They ordered a gorgeous 16 x 20 Mounted Print of the image below!! Isn't it gorgeous!! I love when parents choose beautiful wall art of their babies to hang up!! I am so thankful for having parents that trust me completely with their newborn. Mom & Dad feel so blessed to have two sweet little girls and I just loved being able to capture this moment in time for them. CONTACT US FOR A CONSULTATION TODAY!! Introducing this sweet baby girl. I just love the meaning behind Anne, who was named after her great grandma (dad side), and grandma (mommas side) whose middle name is Annette. They wanted to pay homage to both, which is so thoughtful! I'm super sad I won't be able to photograph her the entire year, due to their family moving. Daddy's in the Air Force so it's time to move to another base. I can't wait to see her one more time for her 6 month Session though!! Ms Anne was 7 pounds 8 oz and 19.5 inches long! Isn't she gorgeous??! Jackie was so sweet and over the moon about her little Alivia when she brought her in. She dreamt that she was having a girl before she even knew! Sure Enough, Miss Alivia arrived into this world and was itty bitty... weighing just over 5 pounds. This little girl is going to have her daddy wrapped around her finger I am sure!! Her nursery decor is white and grey with a pop of pink. I loved using the salmon and cream colors. 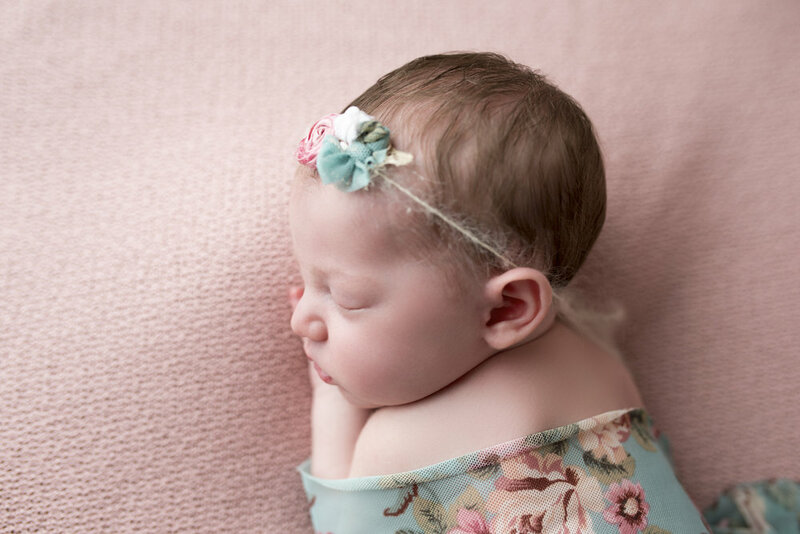 We also both love Florals so just had to incorporate this wrap and tie back in her session! It looks so delicate and soft on her. She also has hand painted letters of her name hanging up in her nursery that mom DIY'd! Now I think it's time to get one of these gorgeous images hung up in their home! She has forever changed their family being the first grandchild and great grand baby ! The only baby arriving in Several years for this sweet family. Check out some of my favorite images from her session! Enjoy!